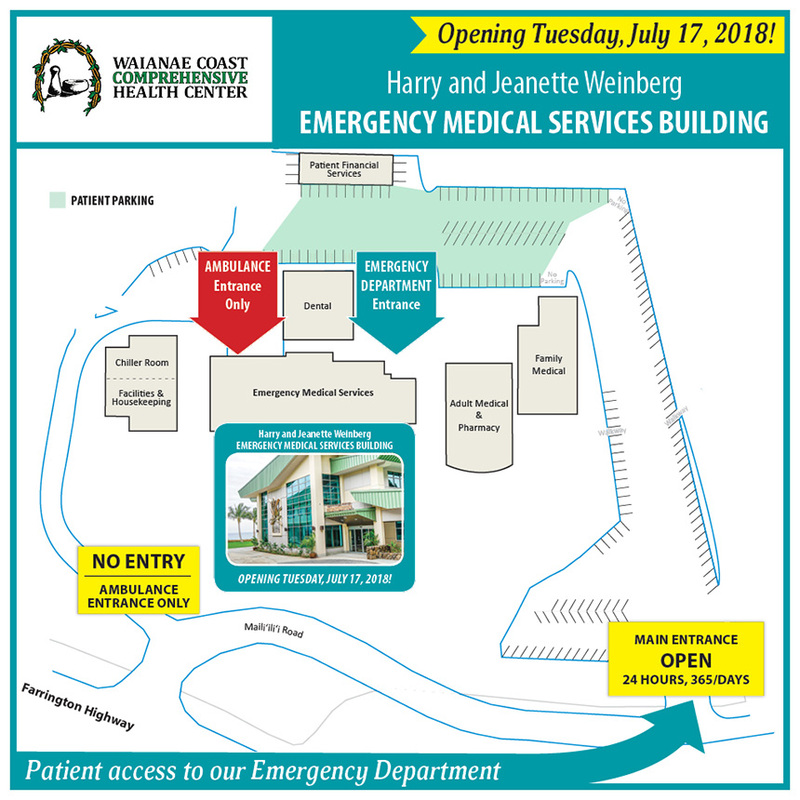 The Waianae Coast Comprehensive Health Center's new Harry & Jeanette Weinberg Emergency Medical Services Building opened on July 17, 2018. The 24,000 square foot EMS Building has double the number of exam rooms (16) of the former ER and also houses laboratory, administration offices and training space as well as a 24-hour radiology department for Emergency Department use. 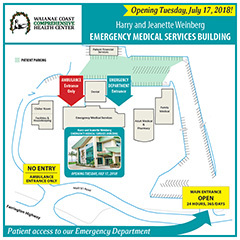 The Health Center's Emergency Department has operated at its main site in Waianae since 1975 and has provided 24-hour emergency services since 1986. Recognized as a Trauma Support Facility by the state of Hawaii, it serves as a critical safety net for the residents of the Leeward coast. For the period July 1, 2016 – June 30, 2017, the ED registered 24,687 patients of which 89% were residents of the Waianae Coast. Patients should use the 2nd entrance to access the main campus. This entrance is open 24 hours, 365 days/year. The 1st entrance is for AMBULANCES ONLY. 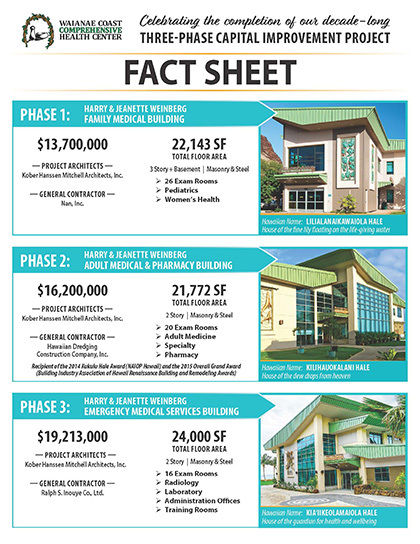 Learn more about all three of our main clinic buildings on our Waianae campus. 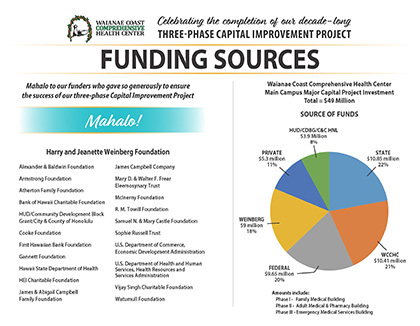 MAHALO to our generous supporters who funded this 12-year, three clinic building capital improvement project. We invite you to watch this beautiful 6-minute video produced by Makaha Studios with highlights from our March 10, 2018 event celebrating the completion of construction on our Harry and Jeanette Weinberg Emergency Medical Services Building. The video captures the essence of our Health Center's purpose and passion to improve the health of the communities we serve. Blessing of the Harry and Jeanette Weinberg Emergency Medical Services Building from WCCHC on Vimeo.